If you are infested with ants, chances are they are inside of your kitchen. They love to search around for food in your cabinets and rummage through your trash. They are very disgusting when they start to multiply as you will find them in your cereal, eating through your flour and sugar, and even in your dishwasher! This is very disgusting and most people just want them done away with as quickly as possible. Don't worry though there are a few options which you can use and a good way to keep them out of your food in the mean time. Ants make use of a scent they leave behind when finding food. They scout around looking for food, leaving a trail of a scent behind. Once they find the food they bring it back following their scent back then all the other ants gather to follow the scent yet again to find and get back to the colony. So by simply washing the counter with simple soap and water you can get rid of this scent and make them have to wander around in search of food again. This will at least buy you some time to deal with the problem. Another good idea is to burn incense or spray some deodorant on your counters. This will mess with their scent trails and they will have no idea how to get back or where to find food at. However, I am sure you just want to get rid of them so this is really only a temporary solution! Alright so there are two ways to really get rid of ants, the first I would try if I was you is a very good natural way. This is done by placing turmeric powder into their home. That means you gotta find the colony and stuff this powder all around where they live. 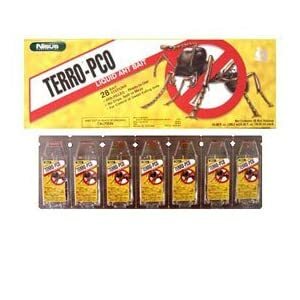 This stuff is pretty deadly to ants but not harmful to humans, so it is pretty safe. Then once you notice a decline in their numbers mix some vinegar with water and wash the area and the entrances to your house with this solution. It will make ants not want to have anything to do with your house. Another, much more effective solution is to buy an ant bait. Something such as a bait station. The one that I listed here is for those sweet eating ants. Those are the most common to find in your kitchen so this should work. If they don't seem to be attracted to it then you will need to try something for a different type of ant or try to find what type of ant they are and get a bait for them.